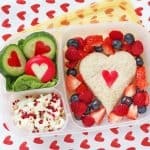 With the kids now back to school I wonder how many parents are already getting packed lunch fatigue?! 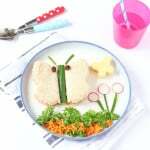 Coming up with new and healthy lunch ideas that the kids will actually eat can be really hard work. 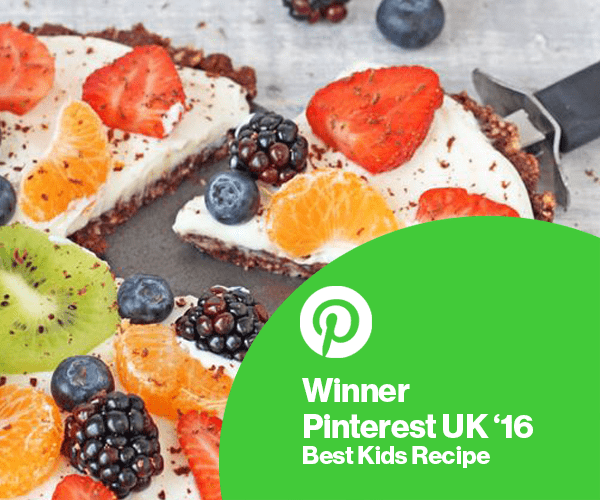 There’s nothing worse than preparing a super delicious and nutritious lunch only to find it pretty much intact and uneaten after school! 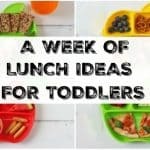 I’ve teamed up with Brioche Pasquier to create three easy lunch box ideas that kids and adults alike with love! We’ve been trying these new Pitch brioches at home and the whole family love them. 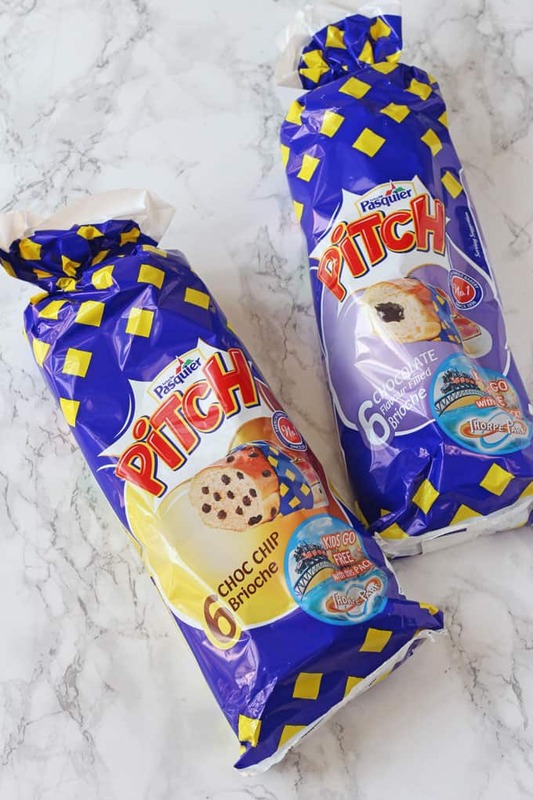 They come in two flavours – Pitch Chocolate Chip and Pitch Chocolate. Rice Salad makes a really great alternative to sandwiches in a lunchbox. 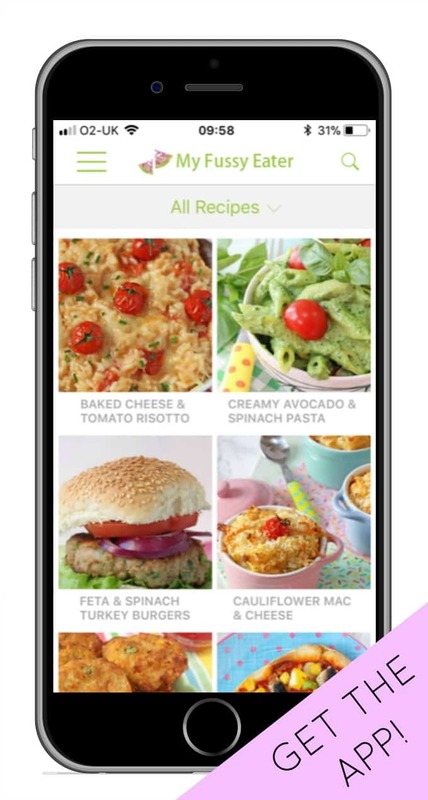 I use the microwaveable pouches of rice that cook in just two minutes and then mix it up with some veggies. I also packed some cheese, cucumber rounds, pretzels and a Pitch Chocolate Chip. 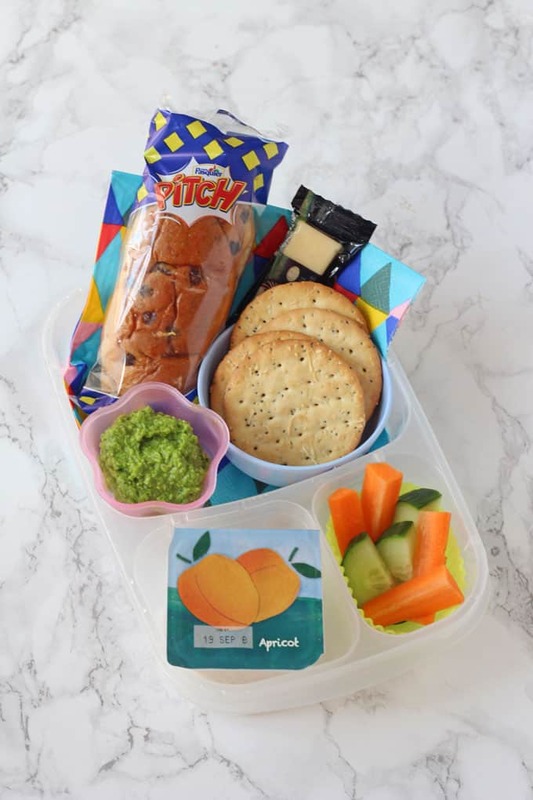 Another great alternative to sandwiches is packing up some crackers, cheese, crudities and a dip. I included some pesto in this lunch box but hummus or a creamy dip would work really well too. I also included a yogurt and a Pitch Chocolate Chip. 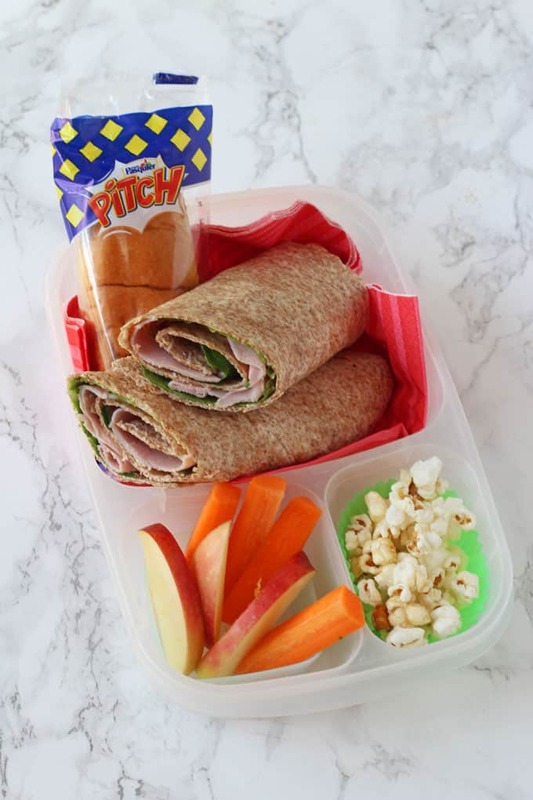 Ham Wraps are my daughter’s absolute favourite lunch. I use wholemeal wraps as much as possible to help keep her full. In this lunch box I also packed some chopped veggies, popcorn and a Pitch Chocolate. 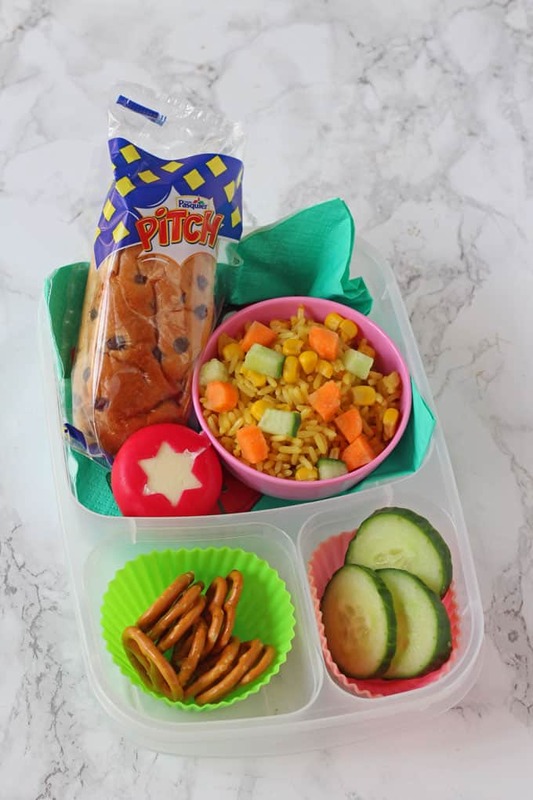 What are your favourite packed lunches for your kids? 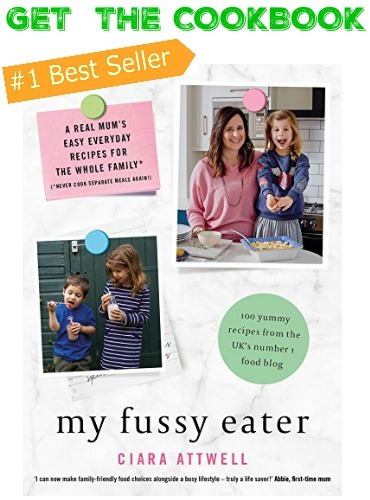 Do you always make sandwiches or wraps or do you try to be a bit more creative? Disclosure: I have been compensated for my time spent working on this campaign with Brioche Pasquier but as always all thoughts and opinions are honest and are my own.